In this article, I will share with you the steps I took, to get Docker and Minikube (using the –vm-driver=none option) installed on top of an Ubuntu guest Operating System within an Oracle VirtualBox appliance, with the help of Vagrant. The Vagrant VirtualBox provider is compatible with VirtualBox versions 4.0.x, 4.1.x, 4.2.x, 4.3.x, 5.0.x, 5.1.x, 5.2.x, and 6.0.x. Other versions are unsupported and the provider will display an error message. Please note that beta and pre-release versions of VirtualBox are not supported and may not be well-behaved. 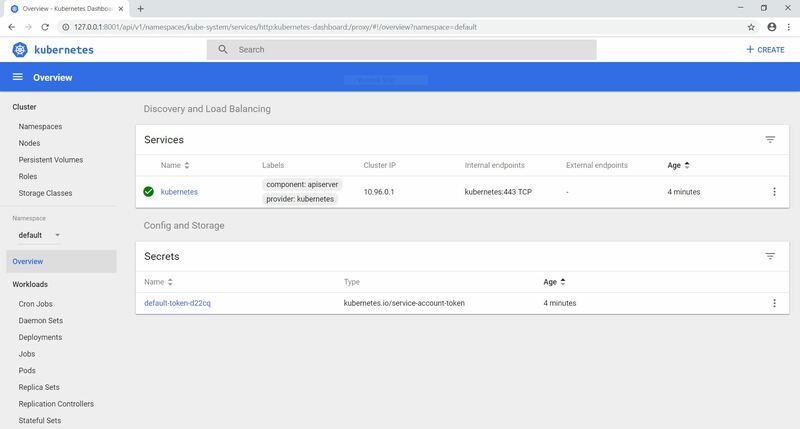 Minikube is a tool that makes it easy to run Kubernetes locally. Minikube runs a single-node Kubernetes cluster for users looking to try out Kubernetes or develop with it day-to-day. 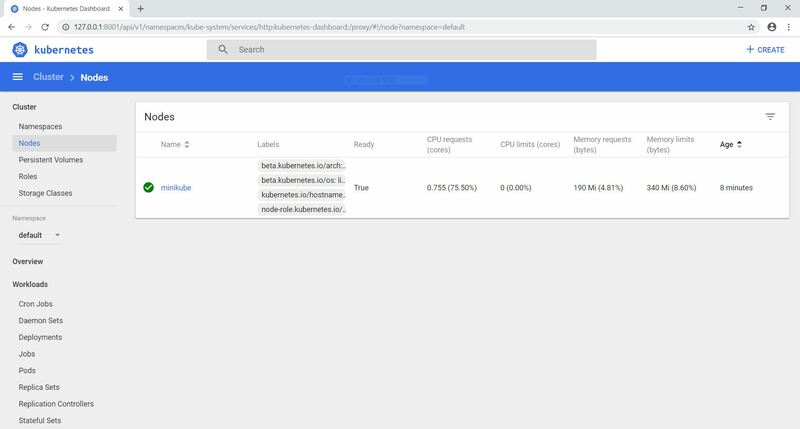 Normally, you have to install some kind of hypervisor (for example VirtualBox or KVM) on your Operating System that the minikube start command will use to create and configure a Virtual Machine, that runs a single-node Kubernetes cluster. After that you have to install kubectl. In my case however that Operating System will already be running in a VM. Creating a VM within a VM is not going to work, but there is a solution for this. Minikube also supports a –vm-driver=none option that runs the Kubernetes components on the host and not in a VM. Using this driver requires Docker (docker-ce 18.06) and a Linux environment but not a hypervisor. NOTE: Minikube also supports a –vm-driver=none option that runs the Kubernetes components on the host and not in a VM. Docker is required to use this driver but no hypervisor. If you use –vm-driver=none, be sure to specify a bridge network for docker. Otherwise it might change between network restarts, causing loss of connectivity to your cluster. None driver requires docker-ce 18.06 (18.09+ will be compatible from kubernetes version 1.13+, see #3323) . With this list in mind I started to look for the requirements needed by each of the products to be installed. I knew I had to install Docker on a Linux environment within VirtualBox. 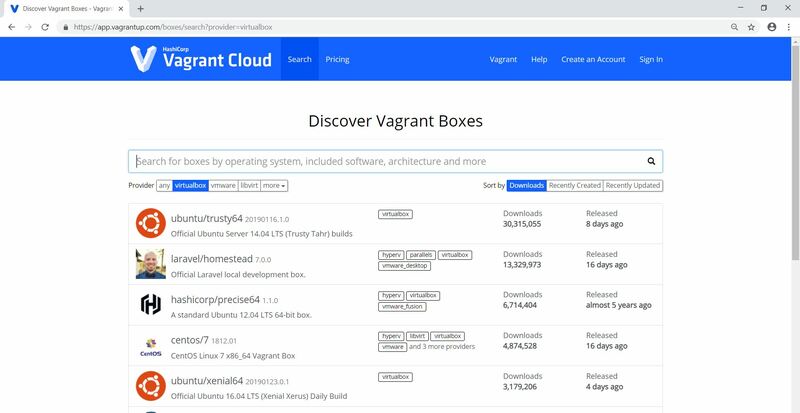 Luckily my colleague Lucas Jellema wrote a blog in May 2018, that helped me on the way with creating the VirtualBox appliance with the help of Vagrant. Following my colleagues blog, I chose Ubuntu. 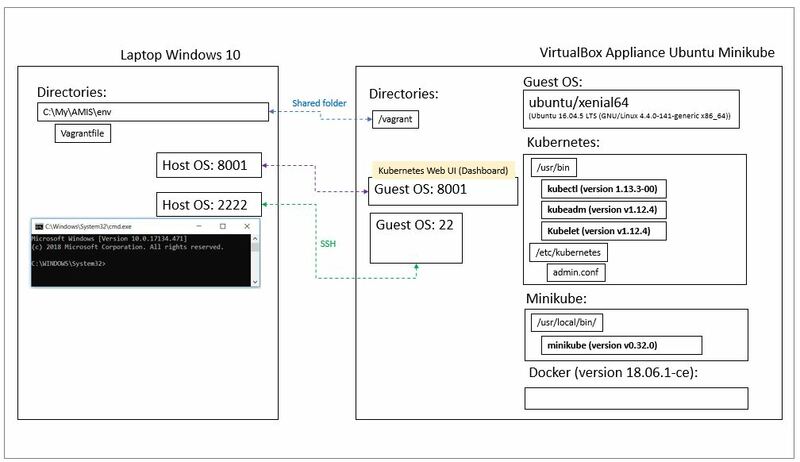 Also remember the Minikube –vm-driver=none option requires Docker CE, version 18.06. So, I chose Docker Community Edition (CE). Knowing that I was going to use Vagrant, I had a look at the available Vagrant Boxes for VirtualBox (and Ubuntu). Based on the available Vagrant Boxes and the Ubuntu short list (for Docker CE), I chose Ubuntu Xenial 16.04 as the Vagrant Box. Then I started to put together the Vagrantfile. Because I am new to Vagrant I also tried out some things, along the way. First, I created a subdirectory named env on my Windows laptop. This initializes the current directory to be a Vagrant environment by creating an initial Vagrantfile if one does not already exist. # The most common configuration options are documented and commented below. # `vagrant box outdated`. This is not recommended. # accessing "localhost:8080" will access port 80 on the guest machine. # config.vm.network "forwarded_port", guest: 80, host: 8080, host_ip: "127.0.0.1"
# using a specific IP. # config.vm.network "private_network", ip: "192.168.33.10"
# Create a public network, which generally matched to bridged network. # argument is a set of non-required options. # backing providers for Vagrant. These expose provider-specific options. # information on available options. # documentation for more information about their specific syntax and use. This configures what box the machine will be brought up against. The value here should be the name of an installed box or a shorthand name of a box in HashiCorp’s Vagrant Cloud. Configures networks on the machine. Please see the networking page for more information. Configures provider-specific configuration, which is used to modify settings which are specific to a certain provider. If the provider you are configuring does not exist or is not setup on the system of the person who runs vagrant up, Vagrant will ignore this configuration block. This allows a Vagrantfile that is configured for many providers to be shared among a group of people who may not have all the same providers installed. Configures provisioners on the machine, so that software can be automatically installed and configured when the machine is created. Please see the page on provisioners for more information on how this setting works. This command creates and configures guest machines according to your Vagrantfile. By default, Vagrant sets the Virtual Machine Name to the containing folder of the Vagrantfile plus a timestamp of when the machine was created. By setting another name, your VM can be more easily identified. Next I changed the name of the VM. In line with the method call for creating multiple machines, you can also explicitly define a VM and that name then replaces the token ‘default’. Multiple machines are defined within the same project Vagrantfile using the config.vm.define method call. To install the needed software, I added to the env directory a subdirectory called scripts. echo "**** Begin installing Docker CE"
echo "**** End installing Docker CE"
So, I chose to install a specific version of Docker CE. ubuntu_minikube: 0 upgraded, 5 newly installed, 0 to remove and 0 not upgraded. ubuntu_minikube: Need to get 40.2 MB of archives. ubuntu_minikube: After this operation, 198 MB of additional disk space will be used. ubuntu_minikube: Do you want to continue? Apparently the command was aborted. Be aware that in addition you could also use the -quiet flag with the apt-get command. From here on in this blog, for simplicity, I will no longer mention the vagrant destroy command preceding the vagrant up command. ubuntu_minikube: This message shows that your installation appears to be working correctly. ubuntu_minikube: 1. The Docker client contacted the Docker daemon. ubuntu_minikube: 2. The Docker daemon pulled the “hello-world” image from the Docker Hub. ubuntu_minikube: executable that produces the output you are currently reading. echo "**** Begin installing kubectl"
echo "**** End installing kubectl"
ubuntu_minikube: To further debug and diagnose cluster problems, use ‘kubectl cluster-info dump’. ubuntu_minikube: The connection to the server localhost:8080 was refused – did you specify the right host or port? The connection to the server <server-name:port> was refused – did you specify the right host or port? According to the text above, Minikube needs to be installed first, so that we have a running Kubernetes cluster. Only then, kubectl can connect to that cluster. So, let’s try this by changing the installation order in the Vagrantfile (you can see further below). echo "**** Begin downloading minikube"
echo "**** End downloading minikube"
echo "**** Begin starting a Cluster"
echo "**** End starting a Cluster"
In order for kubectl to connect to a Kuberneter cluster, Minikube must be started. ubuntu_minikube: Kubectl is now configured to use the cluster. ubuntu_minikube: Everything looks great. Please enjoy minikube! Again, we get the message we have seen before. Earlier we fixed the connection to the Kubernetes cluster, so now let’s focus on having the correct configuration. By default, kubectl looks for a file named config in the $HOME/.kube directory. You can specify other kubeconfig files by setting the KUBECONFIG environment variable or by setting the –kubeconfig flag. Until now all the commands via the Vagrantfile (and provisioning scripts) are via Vagrant executed as user root with /root as $HOME. However, via de Linux Command Prompt (ssh), the user named vagrant is executing the kubectl commands. This user does not have a file named config in the $HOME/.kube directory. drwxr-xr-x 4 root root 4096 Feb 3 12:29 ..
drwxr-xr-x 4 vagrant vagrant 4096 Feb 3 12:39 .
drwxr-xr-x 93 root root 4096 Feb 3 12:33 ..
drwxr-xr-x 4 root root 4096 Feb 3 12:34 . With the chown command I changed the config file’s owner to vagrant and the group to vagrant with a single command. drwxr-xr-x 5 vagrant vagrant 4096 Feb 3 14:10 ..
drwxr-xr-x 2 root root 4096 Feb 3 14:10 . Now that the correct configuration is in place let’s try again to interact with the Cluster via kubectl. Now let’s try to interact with the Cluster via the Dashboard. The UI can only be accessed from the machine where the command is executed. See kubectl proxy –help for more options. echo "**** Begin preparing dashboard"
echo "**** End preparing dashboard"
and I wanted to use a Web Browser on my Windows laptop, I used the forwarded_port configuration option, to forward port 8001 on my host (Windows) to port 8001 on my guest (Ubuntu). When I used the following commands in the end part of the minikube.sh file in order to get the dashboard URL, in the output I got the error you see below. The minikube dashboard command needs kubectl, and that wasn’t installed, because minikube needed to be installed first (see before). When I used the following commands in the end part of the kubectl.sh file in order to get the dashboard URL, in the output I could see the script wasn’t executed till the last command. On the Internet I found others had the same problem, but it seems to be done intentionally as a security precaution. So, I removed the minikube dashboard –url command, because from the documentation and the output we know by now the dashboard URL. And got an error message: This site can’t be reached. So again, a had to find a solution. I search on the Internet and found a solution that worked for me. So here you can see we have a Kubernetes cluster with one node, named “minikube”. After that I closed the Windows Command Prompt. I opened Oracle VM VirtualBox Manager and for the Running “Ubuntu Minikube” VM I selected with a right click, Close | Save State. Of course, you can for example combine all the 3 script files in just one provisioning script file, or even put all the commands in the Vagrantfile. I leave that up to you.